Get the know-how to do the job with National Training Manager Steve Falzon. With over 25 years of experience as a spray painter Steve Falzon, Protec National Training Manager, is not only well versed in the Protec range but also the knowhow on how to complete jobs to the highest Protec standard. Does your business have a plan to minimise dust? We all know the result of excessive dust particles in refinish paintwork – wasted labour time de-nibbing and buffing which is a significant business cost. Unfortunately, some bodyshops don’t make that connection back to dust. 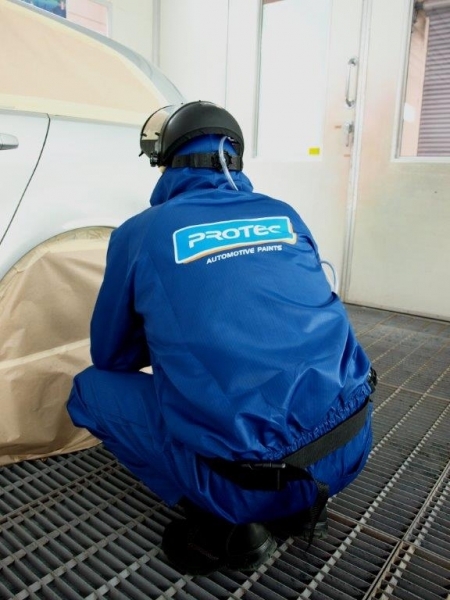 These days, plastic components form a large percentage of bodyshop jobs which makes using the correct products and processes vital in order to get it ‘right the first time’, as well as enhancing productivity and profitability. Few things are more frustrating (and time wasting) than painting a new bumper, then fi tting it only to fi nd it looks different to the adjacent panel even though it was painted with exactly the same colour. Often, it comes down to what’s underneath the basecoat colour – applying the correct spectral grey groundcoat will get the job done faster, with less material and a better colour match. There are plenty of downsides to applying basecoat colour straight over the black fi nish on a new bumper or an incorrect undercoat colour – lots more application and fl ash-off time, signifi cantly higher material usage and poor stone-chip resistance due to too high a fi lm build. And when it’s done, it’s extremely likely the black will ‘grin-through’ so the colour won’t match adjacent panels. 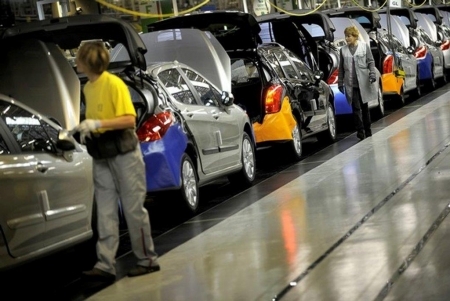 ​In their production line paint process, most new vehicle manufacturers now use a waterborne basecoat. This layer is very solvent sensitive so exposure to products containing solvent during the refinish process generally results in unwanted swelling and ringing around the repair area. While it’s generally understood that temperatures in the colder months can affect the refinish process, it’s also important to remember that adjustments are needed to avoid issues when spraying in higher summer temperatures. Refinish products are generally designed to be used at between 20ºC and 25ºC which is where ‘medium’ hardeners and thinners provide ideal application characteristics. However, those application conditions can change dramatically in the summer months when temperatures often soar. Most workshops aren’t air-conditioned and spray booths don’t include cooling systems to keep the interior at the typical 24ºC application temperature so it’s vital for painters to switch to an appropriate hardener / thinner combination that will ensure user-friendly application characteristics. Blending new paintwork into an existing finish is something paint technicians are frequently required to do. The good news is there is a recommended and proven process for achieving a consistent, successful blend. The bad news is, some technicians choose not to stick to it – whether it’s the pressure to get the job done quickly or just getting lazy, they start cutting corners. The result is dark patches, shadows or ‘profiling’ in the blend area which results in a costly rework that disrupts work scheduling and blows out cycle-time. In the CT refinish sector, bead blasting is a common method of preparing metal surfaces by removing rust, old paint and other unwanted materials. However, in many situations that ‘blasted profile’ then needs to be flattened to leave a smooth surface finish. With the launch of Paraglaze CT, Protec customers how have an excellent option to do just that, thanks to the new 1K High Build Primer (PP-4660). People tend to be a little nervous when using new software but Protec PAINTMANAGER® is really user friendly so it’s straightforward to learn – after a couple of days it becomes second nature. These days, the pressure is often on to minimise colour matching time but you definitely don’t want to fall into bad habits – particularly when it comes to spray-out cards. No matter how hectic your paint shop gets, you should always set aside the appropriate ‘flash off’ time for the product you are applying. 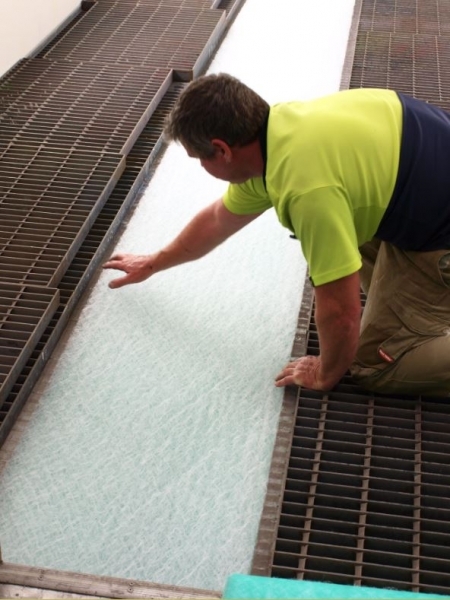 Solvent-borne products rely on a cocktail of solvents to help the paint film flow, level and adhere to the substrate. Not allowing adequate time for solvents to flash off is just asking for trouble, such as solvent entrapment, ‘pinch-back’ of clearcoats and de-lamination.